The Arab world has been warning Washington against recognizing Jerusalem as the capital of Israel and moving the embassy there. However, it seems Donald Trump is adamant about making an announcement. 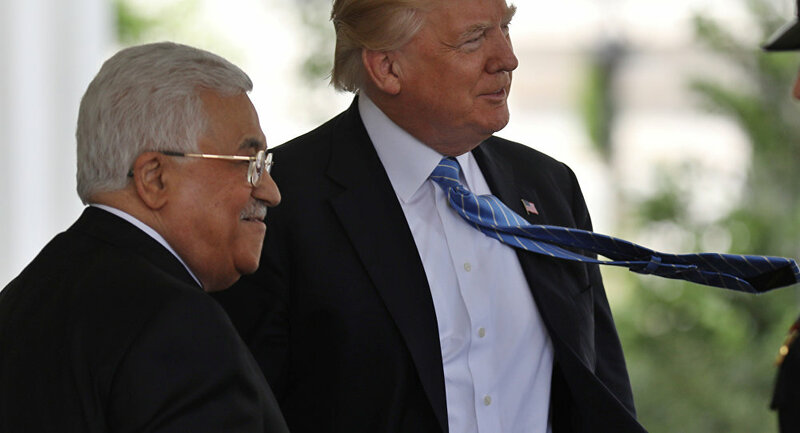 US President Donald Trump has held a telephone conversation with Palestinian Authority President Mahmoud Abbas, in which Trump informed the PA leader of his intention to move the American embassy to Jerusalem, according to Abbas' spokesman Nabil Abu Rdainah. 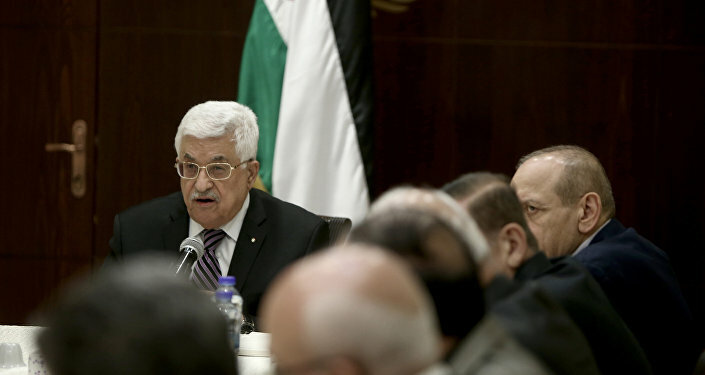 "President Abbas warned of the dangerous consequences such a decision would have to the peace process and to the peace, security and stability of the region and of the world," Abu Rdainah added as quoted by Reuters. The spokesman's statement did not specify whether Donald Trump elaborated on the timing of his potential move. The call occurred on the eve of Trump's speech scheduled for Wednesday, in which he is expected to announce his stance on the recognition of Jerusalem as the Israeli capital, a decision that Trump's son-in-law and senior adviser Jared Kushner hinted at last week. The Arab world expressed its strong disapproval of Trump's looming decision over Jerusalem's status, with Saudi Arabia warning of the dire consequences of the US president's move for the peace process in the Middle East, and Turkey threatening to cut off diplomatic ties with Israel. Trump pledged to move the US diplomatic mission to Jerusalem and recognize Jerusalem as the undivided capital of Israel during his presidential campaign in 2016. However, in June, Trump signed a waiver to keep the US Embassy to Israel in Tel Aviv and delay moving the mission to Jerusalem. The White House explained Trump's move as an attempt to "maximize the chances of successfully negotiating a deal between Israel and the Palestinians." On Monday, White House Deputy Press Secretary Hogan Gidley said that Trump would decide in the coming days whether to sign a waiver to delay the relocation of the US Embassy from Tel Aviv to Jerusalem. In 1995, the US Congress adopted a law on the transfer of the embassy in Israel from Tel Aviv to Jerusalem. But because of the disputed status of the city and the sensitivity of this problem to relations with the Arab-Muslim world, all US presidents, including Trump, sign a document every six months postponing the implementation of this decision. Relations between Israel and Palestine have been shattered for decades. Palestinians seek diplomatic recognition for their independent state on the territories of the West Bank, including East Jerusalem, which is partially occupied by Israel, and the Gaza Strip. The Israeli government refuses to recognize Palestine as an independent political and diplomatic entity. Jerusalem is claimed as the capital by both Israel and Palestine. Israel declared Jerusalem its "single and indivisible" capital, including its eastern districts and historic center, repulsed half a century ago from Jordan and later annexed. The world community does not recognize the annexation and considers the status of the city to be one of the core problems of the Middle East conflict, which should be resolved on the basis of an agreement with the Palestinians, which claim the eastern part of Jerusalem. In this regard, all foreign embassies are located in Tel Aviv.